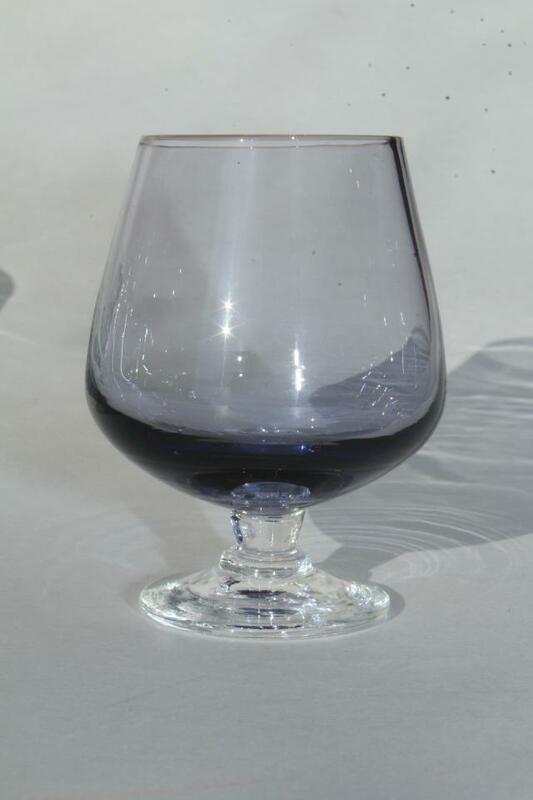 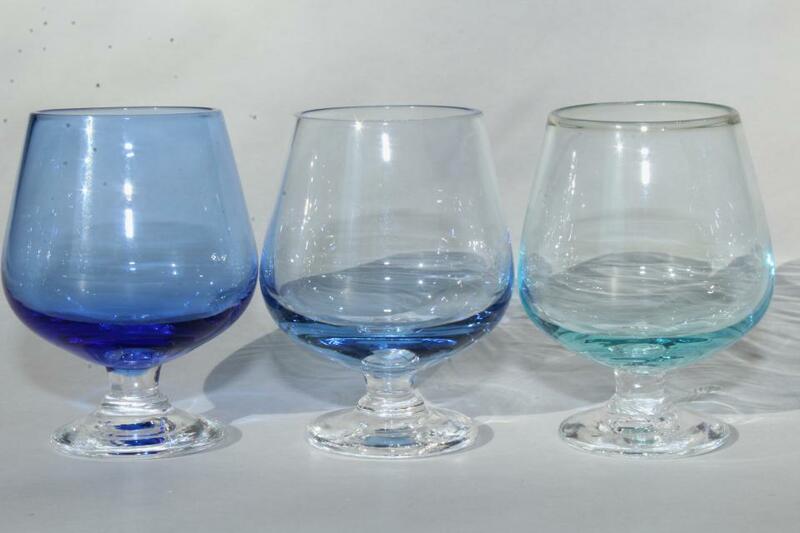 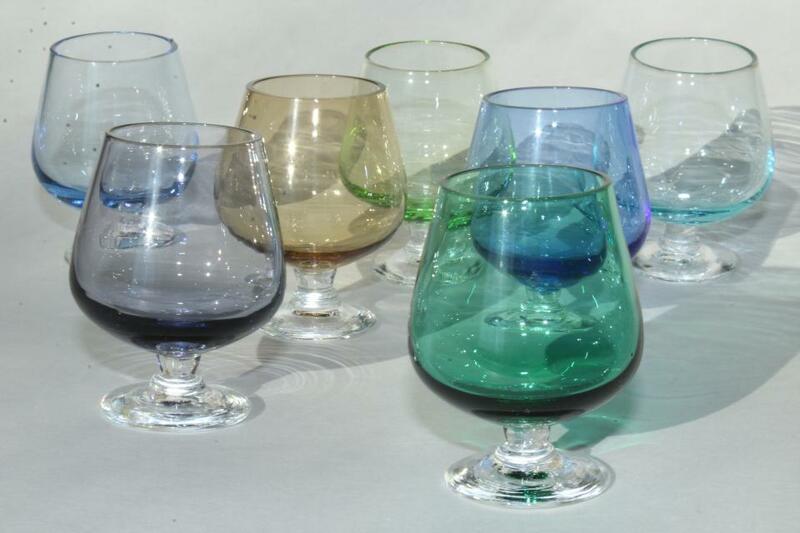 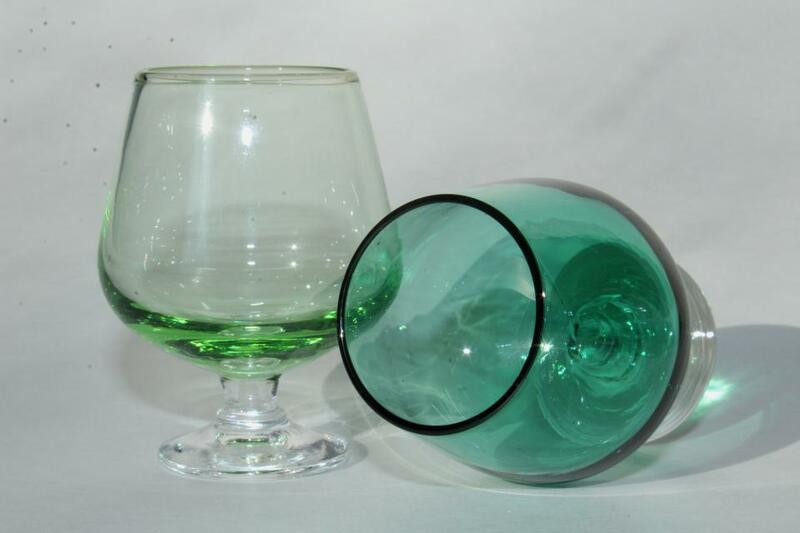 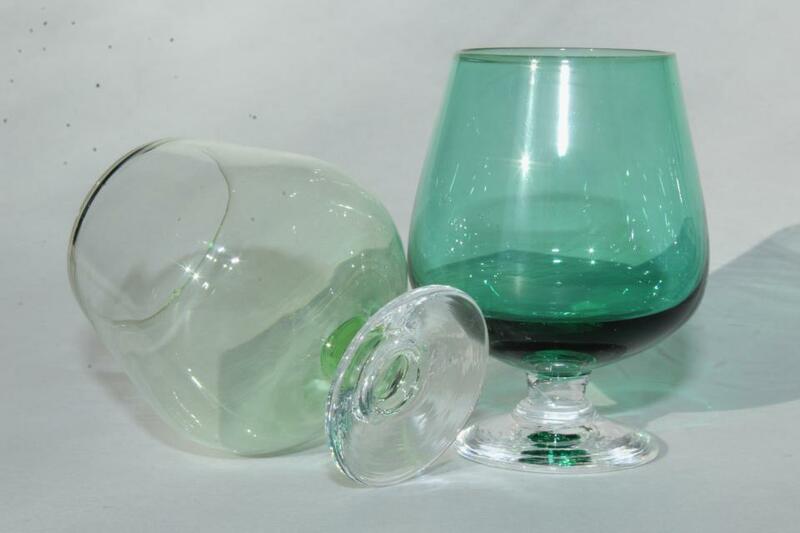 Seven vintage liqueur glasses or shots, each a different color, all shaped like brandy snifters 2 1/4" tall. 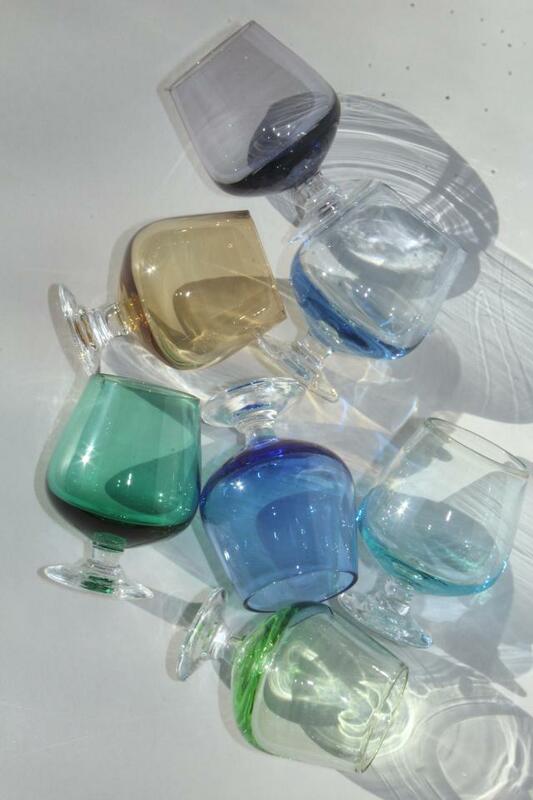 These are probably Italian, mid-century vintage bar glassware. 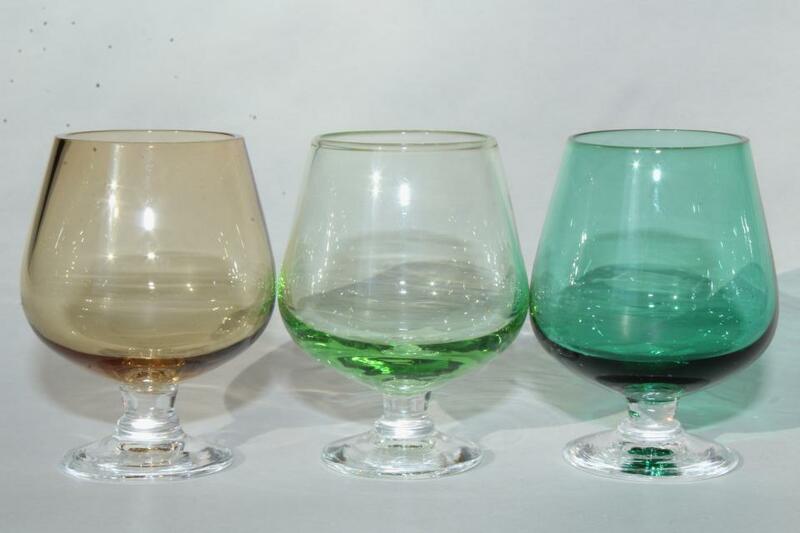 All are in very good condition without damage.